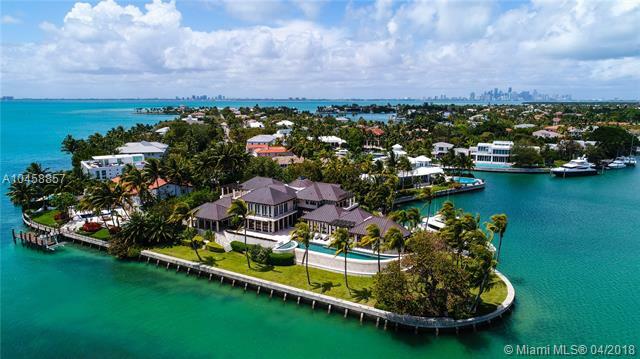 28 harbor is a spectacular oceanfront sanctuary located in the prestigious harbor point of miami ¬ø� ¬ø�� ¬ø��s exclusive island, key biscayne. 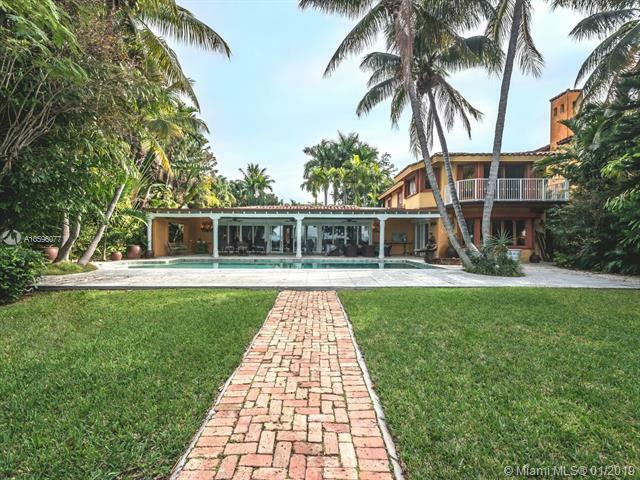 This custom gated mansion is a masterpiece situated between the atlantic ocean and the island ¬ø� ¬ø�� ¬ø��s harbor. 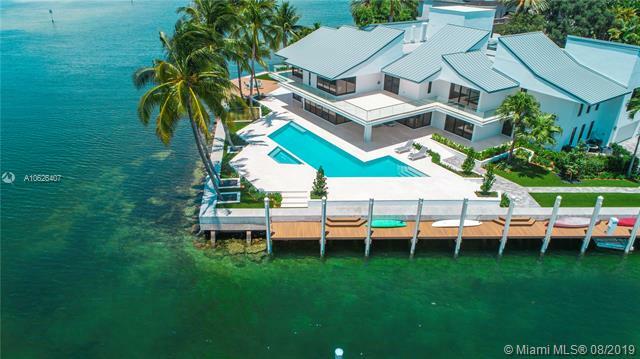 With over an ¬ø� ¬ø�� acre of prime oceanfront property, this residence includes a 172 ft deep water private dock to the north, large enough for a mega-yacht. The direct oceanfront location is tremendously private and includes a state of the art security system. The infinity edge pool is complete with a jacuzzi and over 5,000 sq ft of outdoor terraces. A zen entry, makes this the most tranquil and spiritual place one can imagine. Entering the home becomes a personal affair of elegance with a meticulous blend of luxury materials complimented by magnificent views. Key biscayne magnificent residence with miami skyline at his best. Built on a over-sized lot (23774 sq. Ft). Unique city views. Home offers 8,000+ sq. Ft of great amenities and floor plan. Master suite on first floor with expansive own office library. Family room. 4 bedrooms en suite on second floor. Terraces on first and second floor. Two bedrooms en suite for staff. High ceilings through out the house , large floor to ceiling impact glass windows , large covered terrace embracing the backyard with bbq area, sitting area and amazing city and pool views. Dock area with boat lift (24000 pounds- 33 plus ft boat ) and dock sitting area. Double stairs circulation. 2 car enclosed garage. Gated. Must visit to appreciate how grand this house is. Brand new waterfront estate offering the ultimate level of luxury and perfection. This 3 story contemporary masterpiece has been meticulously designed with exquisite architecture providing both comfort and elegance with spectacular top of the line finishes. This gorgeous home has very defined and open spaces with breathtaking and astonishing views of the harbor and bay. This dream residence is offered fully furnished as seen in the pictures with an incredible infinity pool & terrace overlooking the harbor, 7 bed, 7 full baths and 2 powder rooms,high ceilings throughout, floor to ceiling glass windows & doors, stainless steel state-off-the-art appliances,bbq area and on the 3rd level you will find a stunning family room, bar and huge terrace where you can enjoy entertain family and friends. 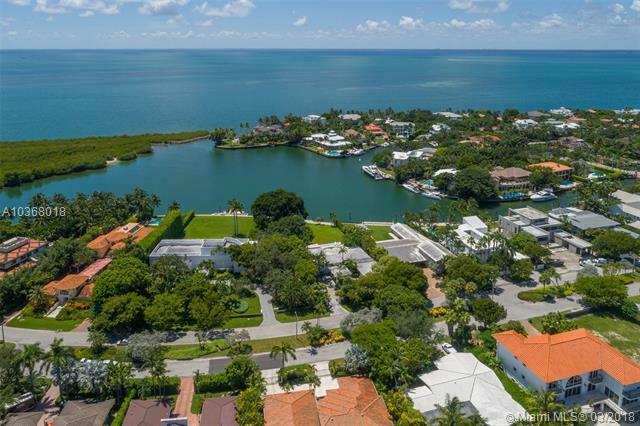 One of key biscayne ¬ø� ¬ø�� ¬ø��s few homes on pines canal facing cape florida state park, so your views are pure mangroves. You will never have construction spoiling your view! swim in your pool in complete privacy! 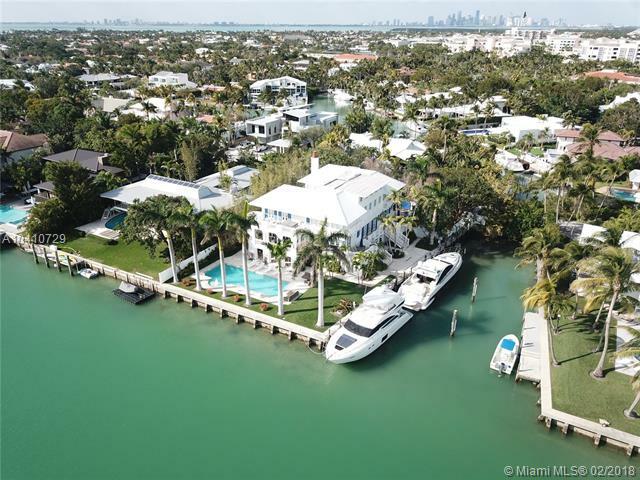 a true boater ¬ø� ¬ø�� ¬ø��s dream home with an l-shaped canal with frontage to fit two boats! gorgeous formal and informal areas perfect for entertaining! large functional kitchen, family room, office/library, lots of covered terraces. Six car garage for the car lover!wine cellar, elevator, gym! five bedrooms/6 baths/3 half baths. Gorgeous onyx floor and counters in the master bath. The home has everything you need for luxurious living! Stunning modern masterpiece situated on prestigious and very private mashta island. 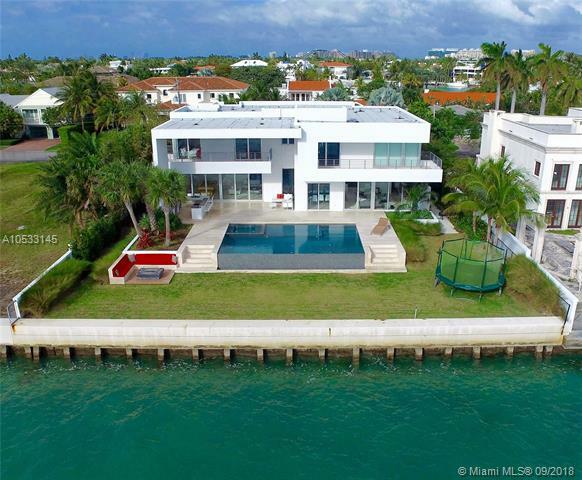 This warm contemporary home was built in 2014 and it offers unobstructed and panoramic views of biscayne bay and stills ville from the moment you walk-in the door. Enjoy the unique design with expansive glass all around which makes you feel as you are living on a yacht, private oasis! the breathtaking views and unforgettable sunsets will make a difference in your everyday life. This exquisite home offers koi pond entrance, open floor,10 ft ceilings. Limestone on the 1st floor, oak wood on the 2nd floor, concrete staircase+ a custom designed italian kitchen,bbq area,4 magnificent suites, office, playroom, steam sauna, jacuzzi and infinity pool. Owners floor plans show the living area under a/c is 5,052 sq ft. 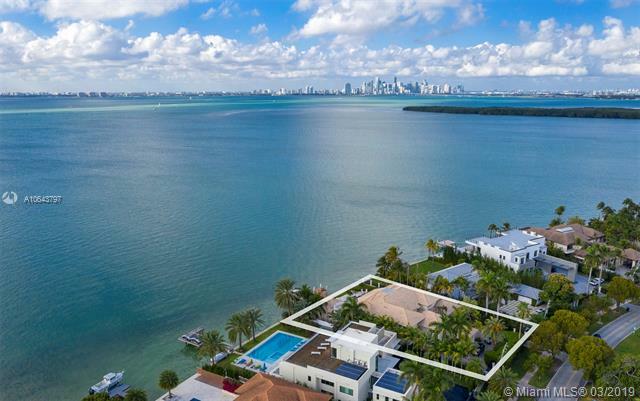 Absolutely stunning, magnificent and one of a kind 2 story estate which offers breathtaking panoramic views of biscayne bay. Designed to enjoy every room in the house with exquisite architecture, comfort, elegance and charm. Approx 7,500 sq ft of a/c, 19,085 sq ft of land.. 7 bedrooms, 8. 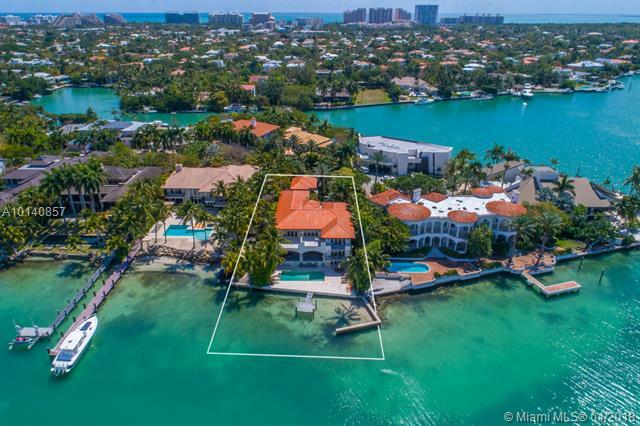 5 baths, office, family room, formal living and dining room areas, gourmet kitchen, 3 car garage, gorgeous terraces, small man created beach and wonderful dock. Located on exclusive harbor point this is a dream come true. Create and build your perfect home on this incredible and very spacious property with 24,473 sq ft of land as per miami dade county. Enjoy the gorgeous and breathtaking views of the harbor and bay as well as being at the end of harbor drive where it is very quiet and peaceful. This is a boater ¬ø� ¬ø�� ¬ø��s paradise.